Hi guys, it's been hard hats' and cycling hats' all the way this week! I've sure needed to dig out my hard hat and flak jacket as Coo's no better. We're no longer in anti-bio-land there's no point really! Any infection he had is surely gone by now! I never knew there was such a thing but there is and Coo's booked for it next week. The seizures are still increasing and it's all such a struggle but we're battening down the hatches and coping one day at a time! Yesterday, my wee Carer group, 'The 3 Towns Carers' had their annual sponsored cycle/walk/tea-drinking and getting around the island day and it was...fun! Ten of us set off to raise some funds and have a bit of a laugh too, some were walking and some (like us!) were cycling, taking our time and just getting around the island! 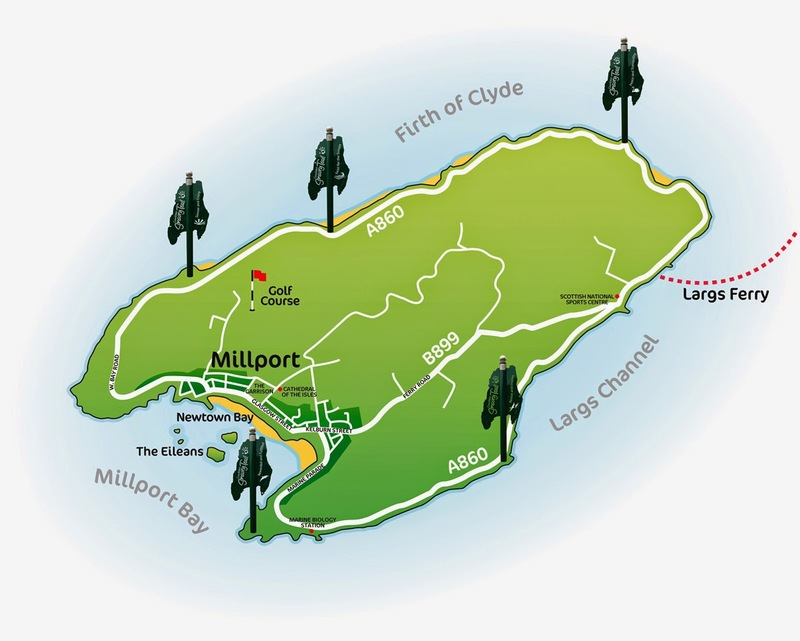 The Isle of Cumbrae isn't huge. It's eleven miles around and fairly flat too so it's just a nice wee size for a bike ride - every so often! We started with a wee cuppa and some toast (or scones!) at the Moorings in Largs and after a wee catch up away we went! A short ferry ride and we were off and running - three of us cycled, the others walked and the weather behaved beautifully! woo hoo! Yet again, I'm reminded how fortunate I am that we have good support in place - SDS (Self Directed Support), has made such a difference. Previously, if Coo was really poorly, I would have had to cancel my plans and just could not have gone but...not anymore! Looby came to keep Coo company, make sure he kept safe and well and I had a little time out and some fun knowing everything was ok! I only hope more Carers manage to find something that works for them too!